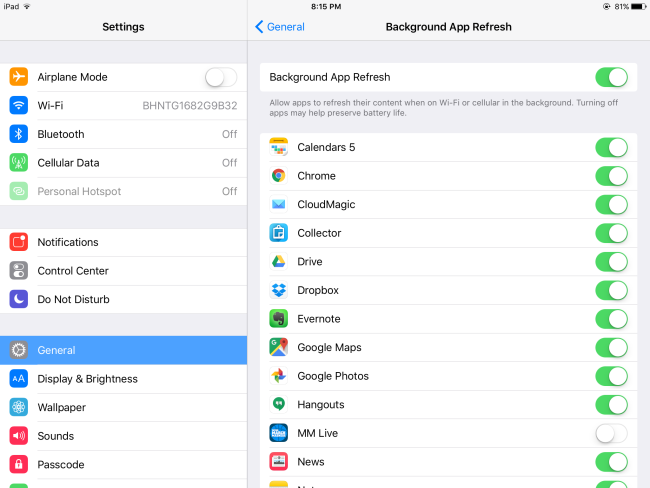 One of the more convenient features of iOS is called background app refresh. The process pretty much works like it sounds Apps can refresh their content in the background when on Wi-Fi or cellular. While this can be very helpful, because apps in this state will run for a short amount of time before they enter a suspended state in which they aren’t actively being used. Turning on Background App Refresh will use additional battery capacity despite the fact that they aren’t open or running, because they can still update new content in the background. While this might not be a deal breaker for the most part, there have been some apps that have been known to continue to run in the background and use more than their fair share of power. To turn on this feature, and mange which eligible apps update in the background, open the Settings App and go to General, then select Background App Refresh and toggle the switch to on. Additionally, you can select which apps refresh their content. However, apps might not be able to check for new content, or run at all until you open them again if you quit an app from the app switcher. To help ensure that Background App Refresh isn’t your resource consumer, you can view the amount of battery usage your apps are using in the last 24 hours or the last 7 days. In addition, you can also get a breakdown of the hours of on screen versus background time the app is spent using power. 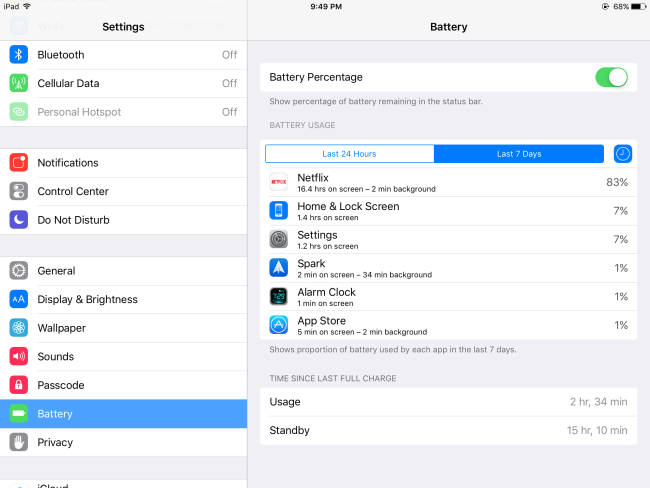 To view the battery usage screen open the Settings App–> Select Battery–> Then wait for the battery usage stats to populate.